Here are major spoilers from this week’s Uncanny X-Men # 7 which was written by Ed Brisson, Kelly Thompson and Matthew Rosenberg. In this issue, we catch up with the X-Men who tried to take out Nate Grey aka X-Man last issue. They were transformed to horrific and nearly demonic versions of themselves and then get sent over to the reality known as the Age of Apocalypse. In Uncanny X-Men # 7 we find the four (Rockslide, Glob, Armor and Pixie) have separated and made their way to the land due to a difference on opinion. 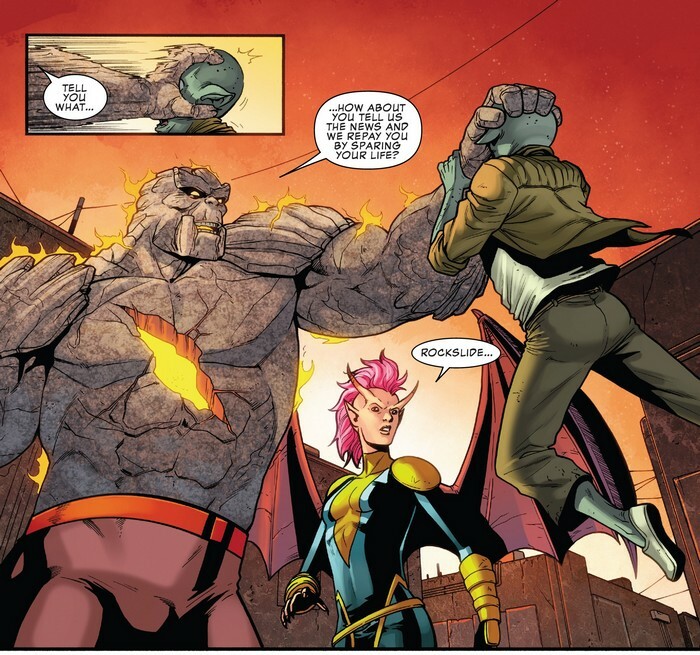 Rockslide and Pixie share the same sentiment that X-Man needs to die in order to save their world. Meanwhile Armor and Glob believe that Nate just needs to be talked to and convinced to leave the reality alone. 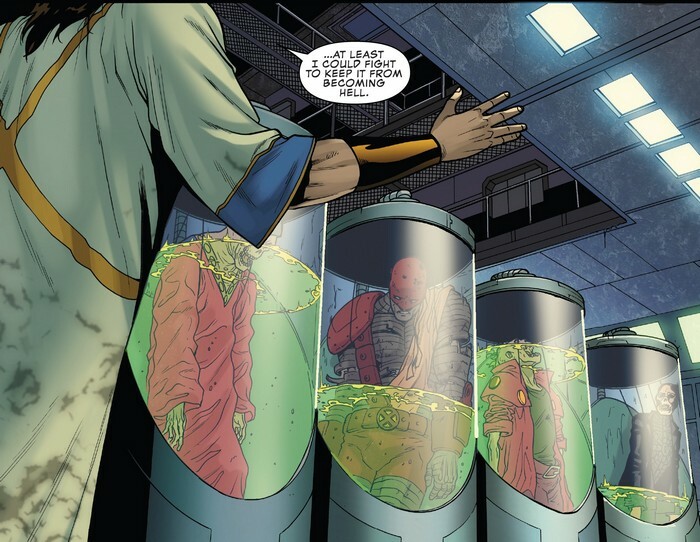 Throughout the issue the trio of “good guys” try to look for a way to return to their reality. The plan was to get to Sinister’s lab to find a way to return. Santo and Megan are hot on the heels of their former friends but along the way have become “heels”. The two groups meet head on once more in Sinister’s labs where X-Man was trying to get a hold of the M’Kraan shards which has run out. Pixie and Rockslide attack with Pixie bringing in more mutants who share the same sentiment regarding X-Man. Pixie and Armor also come to blows over what to do with Nate. X-Man is weak enough to be killed in this reality and in the last second, Armor decides she needs to kill Nate. Can’t wait for Age of X-Man and see what insane changes they made once more. Meanwhile, Follow me on social media @thefanboyseo on Twitter.